HTTP Errors: What Do They Mean? Aside from Error 404: Not Found, what other HTTP error codes have you already encountered while surfing the internet? And apart from refreshing the page, what else have you done to resolve the error? There are more HTTP errors and status codes than the usual Error 400: Bad Request or Error 404: Not Found. When you access a web server or an application, you are requesting an action from a server that is responded with an HTTP status code. More often than not, the response is not entirely an error. There are five classes of a status code. It is composed of three digits and the first digit of the code helps you identify what class of the status code it is. The first three classes do not result to an error page. What we usually encounter are the 4xx and 5xx errors. So for now, let’s focus on the common client-side errors and server errors which are the usual ones we encounter. The HTTP request that was made by the client or user has invalid syntax and the server cannot understand it. Usually, there is something unstable in the client side. You may open the site you are accessing by opening a new or different browser and clearing the cache. The user is trying to access an unauthenticated site and must provide the details in order to view the protected site. If you have the correct authorization details, you may continue without any problem; but if not, you may encounter Error 401. The Forbidden Error means the user has made a valid request but the server completely rejects it. It may mean that the site being accessed is totally unavailable for the user because the server completely blocks the user from seeing it. It may mean that the site being accessed is not permitted to be viewed from the web. The most common type of error. The reason behind this is the user may have typed the wrong URL for the site or the website has moved to another server but the site points back to its old Domain Name System (DNS). The server may not be able to look up what the user is trying to find. 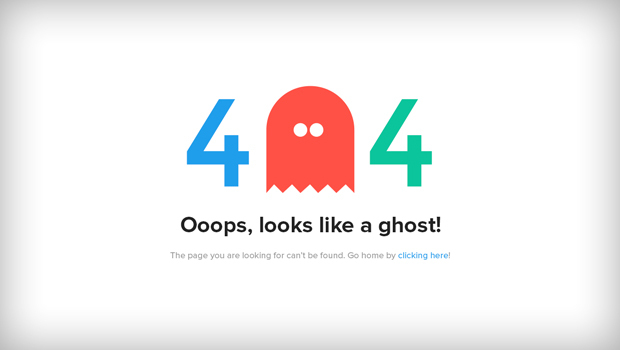 Check this out for some creative Error 404 pages around the web. If the request of the user takes too long, the server may timeout and resets the connection. The client may request again at any time. While Error 404 may be temporary, Error 410 is permanent, meaning the requested site is no longer available and no forwarding address is available. This error shows that the resource was made intentionally unavailable to the user. This usually pops out when the server is unstable and experiencing an unexpected condition and is unable to fulfill the client’s request. To resolve this, you may refresh the page or open the same page in a new browser. This error occurs when the user is trying to access a gateway or a proxy server. The server receives an invalid response from the upstream server. The server is under maintenance or overloaded. This is a temporary condition and will be resolved after sometime when the server has been fixed. The gateway or proxy server did not receive a response from the upstream server within a certain period of time. This occurs when the connection between two servers it weak or poor. Now that you are familiar with the common HTTP errors, you can easily understand why it pops up in your screen. So the next time you see these errors, be patient, the server might be under maintenance or you might have entered the wrong URL!